We bring document shredding to your home. We help residents in Manhattan, Brooklyn, Bronx, Staten Island, Queens, Long Island, Westchester, and New Jersey securely destroy their personal papers. Looking for a professional Residential Shredding Services that comes to you to shred your documents where you are and when you want it? 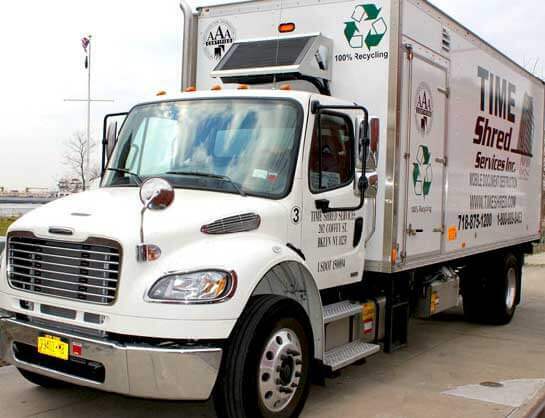 Then call Time Shred Services for our fleet of highly secure shredding trucks. Our staff is looking forward to receiving your call and helping you set up your residential paper shredding service. We explain how our document destruction service works and we answer all your questions. We then determine how much you have to shred so we can give you a quote. Our pricing is very simple and straight forward with no extra or surprise costs. If everything sounds great then you can schedule your residential service. Here is the easy part, pick any day you want Monday through Saturday. We know your busy at home and at work and you need a shredding company that is flexible enough to work around your schedule. Time Shred does just that with our next day service six days a week. If you’re a resident or business located in Manhattan, Brooklyn, Bronx, Staten Island, Long Island, Westchester or New Jersey you can actually witness your confidential documents being shredded at your location as it happens. We invite you to watch the entire process at our customer viewing station. You’ll see a live view from inside the truck from a monitor installed at the side of our paper shredding truck. You have a number of options to destroy your private papers or business records. None of them is more secure and comforting as having your files destroyed at your location as your watch the entire process. You’ll never have to questions what happens to your documents because you will know with onsite witnessed shredding services. Order Your Service. Just give us a call and we can walk you through the whole process including giving you pricing and scheduling your document destruction appointment with just one telephone call. When The Truck Arrives To Perform Your Witnessed Shredding. You will see one of our uniformed technicians. He will show you his picture ID and ask you to show him what documents you would like destroyed. He will then place your papers into one of our bins. The bins hold 300 pounds of paper and it will be locked to secure your information. The bin is then rolled to the truck where the automated shredding system takes over. The bin is lifted and your papers are emptied directly into the shredder. All of your files will be completely destroyed right away. We want you to be comfortable with the person that is coming to your home and you are turning your most personal and private paper over to. All of our staff are bonded and must meet strict standards with background checks, drug testing and sign confidentiality agreements. They are also well trained to provide the most secure and helpful residential shredding service available. Your will find their warm demeanor and eagerness to assist you very comforting. When you hire an AAA certified company you know you have one of the best company’s destroying your private papers. 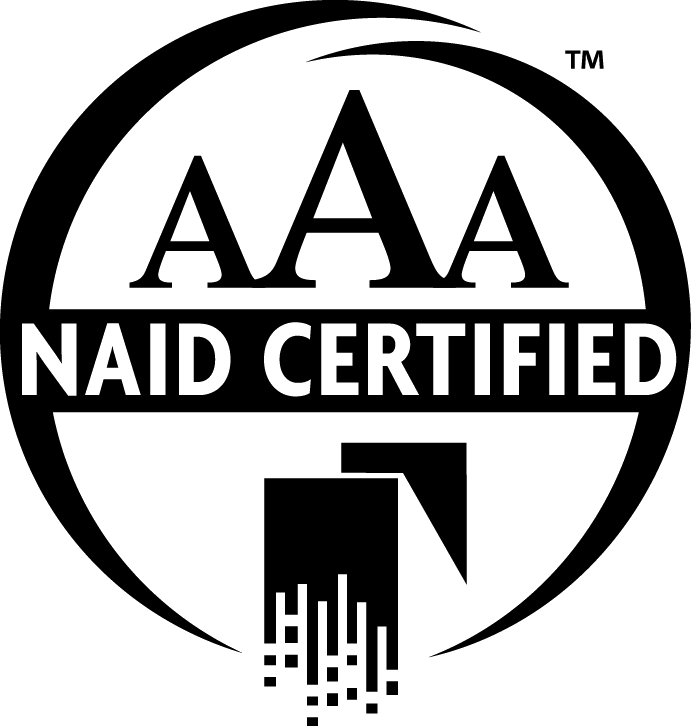 Time Shred Services is an AAA Certified Document Destruction company. 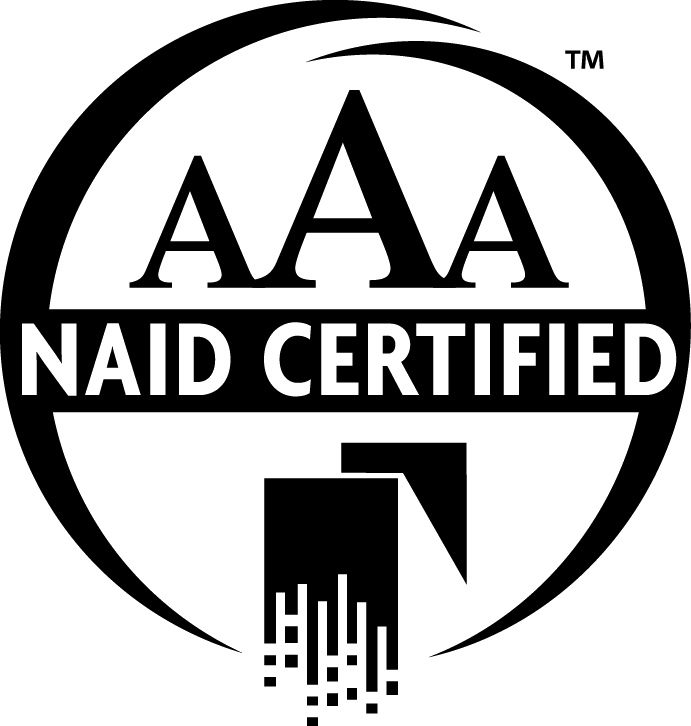 We are certified by NAID, The National Association of Information Destruction. 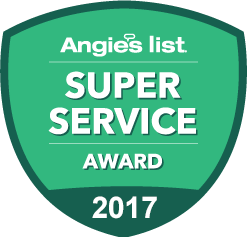 Our AAA Certification means we exceed the highest standards for security and professionalism in the document shredding industry. Residential shredding helps the environment. All of the paper we shred is recycled and used to make other paper products. One ton of shredded paper saves 17 trees. Destroying your documents with Time Shred protects you and the environment. Time Shred Services has been providing confidential document shredding, documents destruction and paper shredding services to residential customers since 2006. .
We look forward to speaking with you so please call us to discuss our confidential document shredding and secure document destruction services for residential customers.